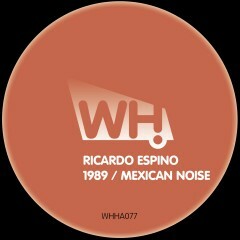 Ricardo Espino is on a roll! The Inexplikable label boss follows up on his recent track on 1605 and his release on Shibiza Recordings that is currently being hammered in the sets of Richie Hawtin. This double A-sider is Ricardos 2nd EP on What Happens.